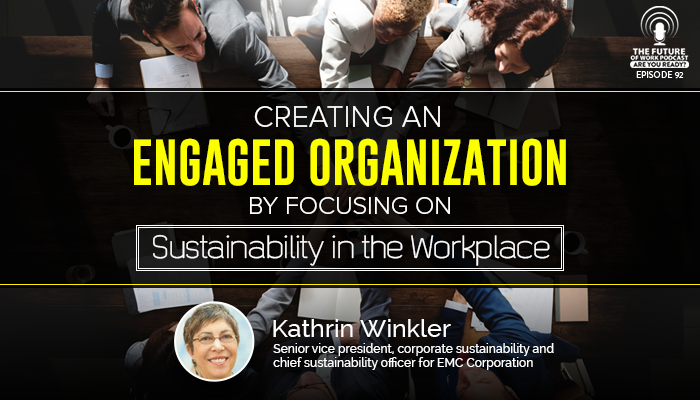 Kathrin Winkler is the Chief Sustainability Officer at EMC, a massive global organization that offers products that enable customers to store, manage, protect, and analyze data. EMC started with helping businesses store data but evolved as the economy has transformed into the digitization of everything. It is a $25 billion company with 70,000 employees all over the world. Kathrin is a self-proclaimed geek with a pre-med background that ended up in the technology industry. She started in hardware, then worked her way into software, and eventually into networking. She joined EMC 13 years ago in the product management field. Kathrin helped create an informal sustainability program, working on how EMC could reduce its impact and make a more positive effect on the world. In early 2008, the CEO made the program official and established the position of Chief Sustainability Officer that Kathrin now holds. Sustainability is more than just being green. It can mean many different things to different people but is basically a way of conducting business that serves the needs of the community of the planet, now and in the future. Kathrin believes that a sustainable organization looks at the world as a system to ensure that their business isn’t coming at the expense of our children. Sustainability is important to customers and Kathrin has found that EMC’s revenue through companies that care about sustainability increases year after year. It is also proven that organizations that invest in sustainability do better financially in general. But it is equally important to employees. 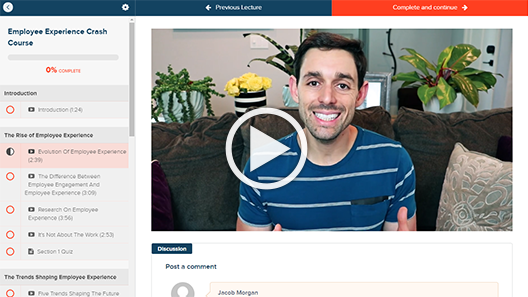 People care about their legacy and want to know that their work makes a positive impact. They want to work for companies whose values align with their own. Sustainability creates a common ground that brings employees together and establishes connections, which is especially important for a company that has employees all around the globe. It boosts innovation and employee engagement. Employees that are proud of their company are more productive and engaged. A result of engaged employees is creativity which continues to benefit sustainability. Tune in to the podcast and make sure to subscribe on iTunes for more episodes. Is sustainability just about going green?